Alpha Kappa Alpha‘s pink and green #blackgirlmagic is represented by Judges Amber Givens-Davis, Stephanie Mitchell and Lisa Green. Judge Shequitta Kelly rounds out the foursome with a sprinkle of her red and white elegance as a member of Delta Sigma Theta. 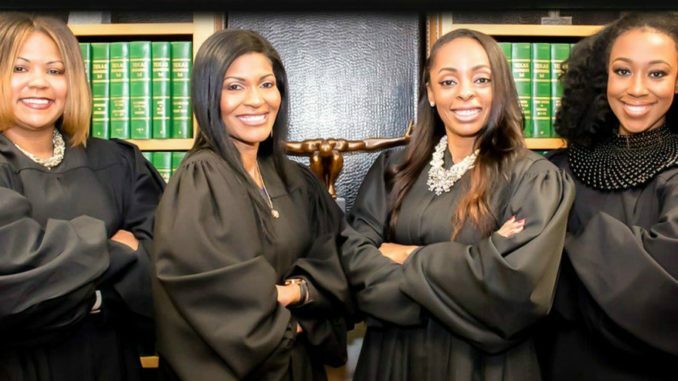 The four powerful women are all criminal judges and have banded together to create a program to help Dallas youth. The purpose of Pipeline to Possibilities is to serve as an alternative to the school to prison pipeline, which disproportionately impacts African Americans. 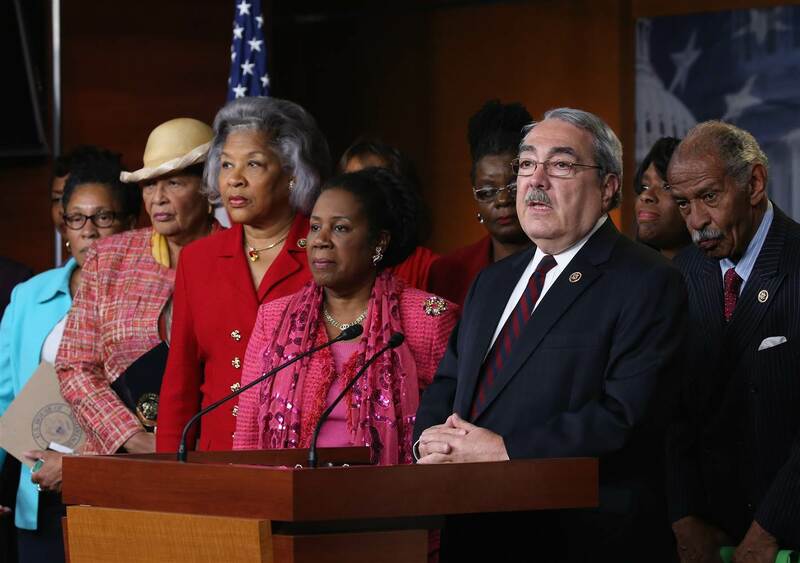 According to the American Civil Liberties Union, Black students represent 31 percent of school arrests and they are three times more likely to be expelled than their white counterparts. The program includes a series of class sessions that cover the following topics: an overview of the criminal justice system, personal presentation that includes much needed advice on social media presence, advice and perspective from people who made it out of the criminal justice system, college and career exploration, and relationship building with Dallas law enforcement. 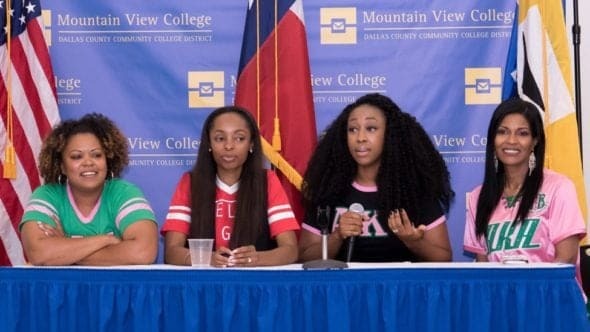 The “Pipeline to Possibilities” judges speaking at Mountain View College, educating youth on various aspects of the justice system. (Courtesy of Pipeline to Possibilities). In an era when social media gaffes have derailed the lives of young people in the form of expulsions, fines, and even jail time, a program that provides clear guidance about the consequences of irresponsible behavior is necessary. The four judges partnered with the African American Success Initiative (AASI) to create the program and put it into local high schools. “I believe it is this type of programming that shows the commitment of the community, not only willing to share their professional experiences, but rather a vested interest in the growth and development of young people,” AASI Coordinator Jamila Thomas told the Hub.